This fundamental error, that everything is a superposition of states, is the essence of the idiocy of the Many World and Multiverse error. Why Mr. Physicist Carroll? Why is it that, for you, if something is a superposition of two possibilities, then so can be something else? Where is the logic in that? There is none whatsoever. Let me show you why. Why that’s illogical. Maybe, sometimes, because something can be cut in two, say a fish, another fish can be cut in two, or a million fishes can be cut in two, indeed. The fact that fishes can be cut in two, because one fish can be cut in two, does not imply that everything else can be cut in two. For example, the fact that one can cut fishes in two does not imply that the sea can be cut in two. Such is the Multiverse error, a very fishy argument. Quantum Dot: Fuzzy, Not Discrete! 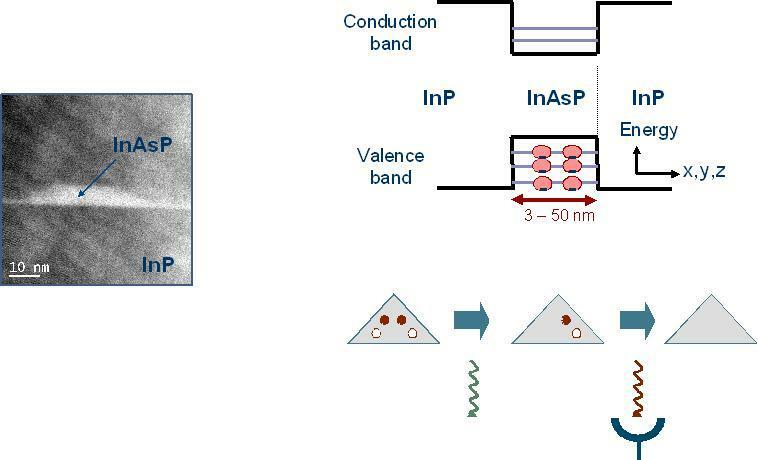 Transmission Electron Microscope Image of a single InAsP/InP Quantum dot (left; “In” is for Indium); such dots exhibit discrete electronic energy levels (Right Top), and this allows, upon spatial and spectral filtering, the generation of single photons on demand (Right bottom). That some process can result ultimately in two states, does not mean that the sea, or anything else, will be a “superposition of two states”. When we mention “the particle” (whatever that is) and the apparatus (whatever that is) we are talking here about things of completely different natures, obviously. What’s the difference? Or differences? Obviously, “the particle” is being measured. And it’s measured by “the apparatus”. One is “Quantum”, “the particle”. The other is classical, the “apparatus”. What’s the most basic difference between “Quantum” and “Classical”? 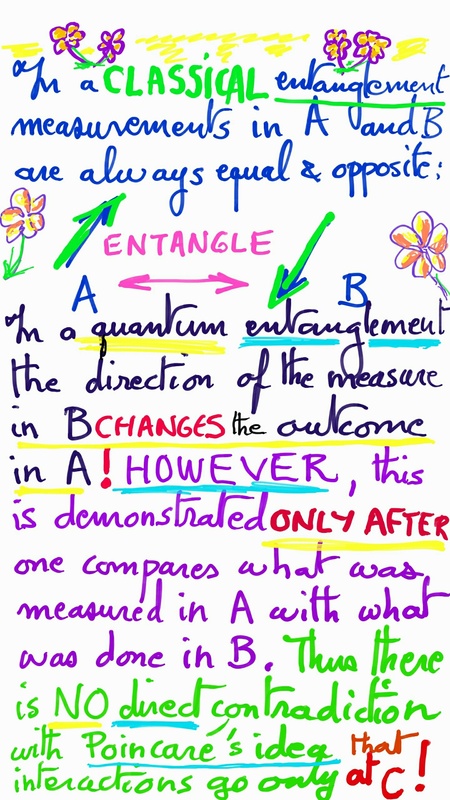 “Quantum” is dominated by DISCRETE states. “DISCRETE” here is in the strict mathematical sense (in bijection with a subset of the natural numbers, N). Classical mechanics is NOT discrete. We do not understand why. It’s a major mystery. But the passage from Quantum to Classical has been studied experimentally in simple, particular (namely made of PARTICLES) systems. 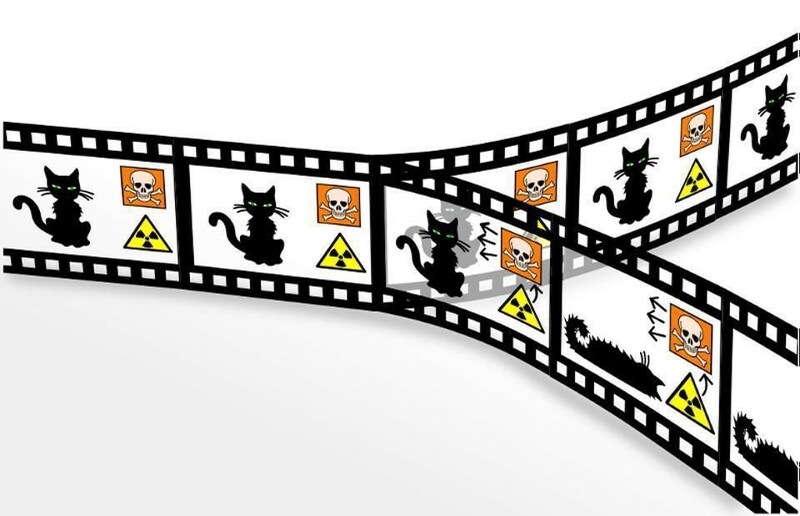 I just said that “Quantum” is characterized, as its name indicates, by discreteness, a superposition of states. In other words, in Sean’s view the foundation of the Many World Interpretation/Multiverse theory is that Quantum = Classical. Yet, the very concept of “Science” comes from the ability of scindere, to cut in two, to make distinctions. By ignoring the most basic distinction, that between Quantum and Classical, the Many Worlds/Multiverse theory reveals itself to not be science. Yet, it’s even worse than that. The Multiverse error is reminiscent of the blind alley of the Epicycle theory of Ptolemy and company, 2,000 years ago. Notes: 1) The error was inaugurated by Everret, a student of Wheeler, 1963 CE. At the time it was viewed as horrendous (probably for the reasons above, but they were left unsaid; the preceding is my reasoning, entirely). Everret was driven out of research physics (although there were lots of jobs at the time). 2) Bohr and his followers had got the ball rolling, by murky attacks against reality itself. It was debatable at the time, as some then-not-discovered particles (say neutrinos) led to apparent violation of energy-momentum conservation. 3) The philosopher Heidegger, maybe inspired by some of the less wise, contemporaneous statements of Bohr and company, insisted that the distinction between “subject” and “object” be eradicated. Unsurprisingly, he soon became a major figure of Nazism, where he was able to apply himself to further lack of distinction.